We wanted to take a minute to crow about the ladies at Springfield Law Group. Thank you to Susanna, Connie and Val for supporting the Girl Scouts by acting as successful role models for young girls like Kyra Gibbins of Girl Scout Troop 71313. Relationships like these help empower and shape the personal and professional development of our female youth. Building girls of courage, confidence, and character who make the world a better place is what the Girl Scouts are all about. 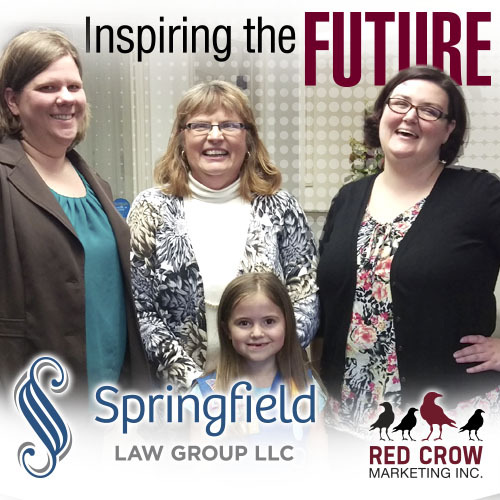 We are honored to work with an organization like Springfield Law Group that cares about supporting America’s next generation of strong and successful women!